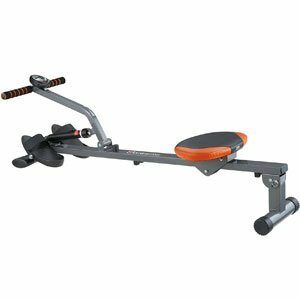 How Multifunctional Is The Body Sculpture 2-in-1 Magnetic Rower? 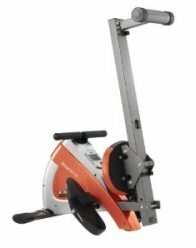 2-in-1 or even 4-in-1 models are always popular with people that want to advance their workout – which is why the Body Sculpture 2-in-1 Magnetic Rower will catch many eyes. This system takes a more basic rowing machine and adds some additional features to create a broader workout. This should help users with their fitness goals without the need for an over-sized, complex system in the house. This sounds like a good hybrid of typical at-home machines and more diverse systems. So, can it meet user expectations? 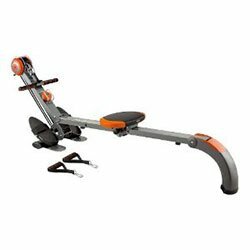 Can The Comfortable Body Sculpture BR1000 Rower Offer A Good Workout? The Body Sculpture BR1000 Rower is a good looking machine with the low profile, simple parts and a nice colour scheme. This will immediately appeal to many people looking for an at-home model. It continues to draw people in with the talk of the Dial-A tension hydraulic cylinder, six-wheel carriage on the saddle, and a monitor for stroke count, time and theoretical calories. Does it perform to buyer expectations? With all the exercise, body shaping and sculpting equipments out in the market nowadays, you may find it difficult to look for the best one. Another body sculpting equipment joined the race and it is the Body Sculpture Rowing Machine. This exercise equipment is designed with magnetic resistant functionality that can be adjusted into 5 levels. This rower is also equipped with a computer, allowing its user to note the time, calories burned and number of strokes per minute. The footplates come in an adjustable feature, making it more comfortable around the ankles during workouts.